Da Vinci lets you create a responsive magazine website with a sleek, modern design. Feature your favourite homepage content in either a grid or a slider. Use the three widget areas to customize your website, and change your content’s layout with either the default or full-width page template. Creating a magazine website with WordPress has never been easier. 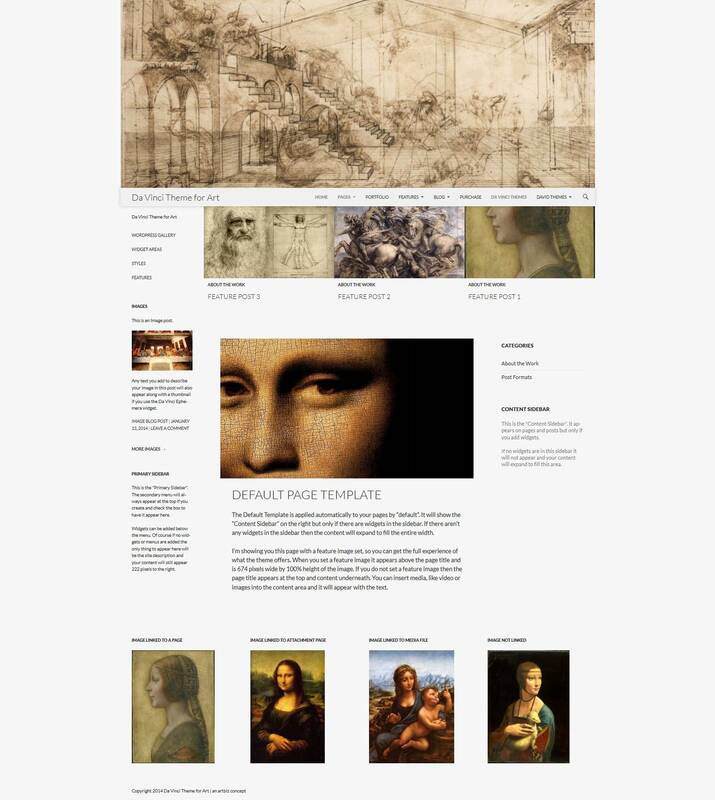 The Da Vinci theme is so flexible and has so many ways it can be used that screenshots are the best way to show you how one theme can have many looks.